This doll is made from flannel & cotton fabrics. His body is made with warm and natural that has been lightly antiqued and sparkle'd with glistening snowflakes. He stands 36" tall. 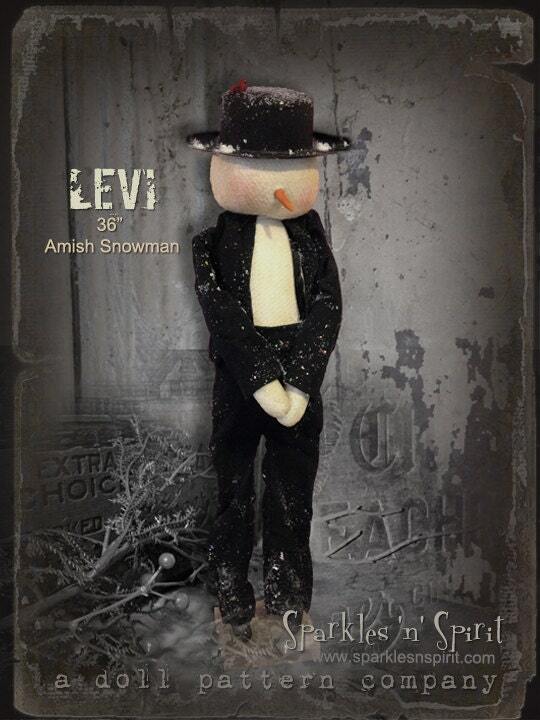 Levi our Primitive Amish Snowman is easy to make. He is brand new in our Prairie Primitive collection!